In most big cities such as New York, there are varied ways to get from one place to another without using your own car. From the yellow taxi cabs to the subway to the newest offering, the Uber service, there are plenty of options to get home after a night out or to meet friends at a restaurant. But when you are traveling in connection with your business or providing a service for business customers, you want something different, and that’s where you may seek out corporate car service in NYC, this is the preferred choice for executives. While the taxi cab has been around for decades, the Uber is a new addition. Uber is an app that pairs people wanting to go somewhere with people who have a car and are willing to take them. It is very basic and it cannot be personalized for your experience such as a corporate car service in NYC would be able to. Require a uniformed driver? Have multiple stops requiring logistical planning? No problem when using a premium car service in NYC. 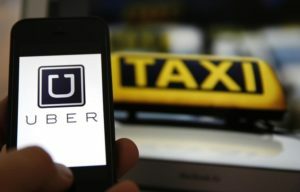 While Uber might sound like a great way for people to get a ride quickly and cheaply, there are some issues to consider. As with anything paid by the mile, there is always the risk that the driver will take a longer route to increase the fair – unscrupulous taxi drivers have been doing that to tourists for years! There is also surge pricing and prime time pricing to take into account when dealing with the cost. The biggest problem with Uber comes when you start to consider the service from an executive’s viewpoint. The convenience might seem nice, just having someone arrive at short notice for an emergency business trip. But in most cases, executives know when they need to arrange transportation so it can be planned in advance using a more suitable service provider. Perhaps the biggest problem with the Uber system is that you have no idea who will come for you and what condition the vehicle will be in. Say, for example, you have arranged a ride for a business executive to be picked up from the airport and brought to the business premises for a meeting? When that person is greeted the airport, that is their first impression of your business. And if the car that awaits them is less than pristine, with a driver wearing jeans and a t-shirt, then this may not portray the image that you want. So, while Uber and taxi services both offer convenience and a cost effective means to travel, there is more to the process for executives than just being able to get a ride, any ride. By using a limo service in NYC, for example, you can have a professional driver in a uniform waiting for that business guest – you instantly create an impression of professionalism and show you are interested in that person. C-Level executives also value their time and want to ensure that the ride they book is extremely punctual as well as looking the part. That’s why companies such as Bermuda Limousine have been offering their chauffeured car service in NYC for over 75 years and why executives prefer to use such services over those offered by Uber and taxi companies. Getting from one location to another is always the point of hiring a ride, but corporate car services offer more than mere transportation. With newer and cleaner cars, professional chauffeur services with uniformed drivers, these services offer an exceptional and catered experience for the executive and any business guests. Drivers are discreet, professionally trained and safely transport their clients to their desired location. They are effectively offering a service that is “for reasons other than transportation”, and this is why they are favored by executives around the world.